Find and add items to your shopping bag. What do I do if I’ve forgotten my email address? Why does your website keep asking me to log in? How do I put items in the Shopping Bag? How can I change the quantity of an item I have in my Shopping Bag? How can I remove something from my Shopping Bag? How do I mark something in my Shopping Bag as a gift? How do I save something in my Shopping Bag for later? My Shopping Bag looks right. How do I finish my order? What are delivery options for the USA and Rest of the World? What Delivery Restrictions are there? Can I send your chocolates to a BFPO address? Can I send to multiple addresses in one order? Can I combine orders to multiple recipients at one address to save on delivery costs? Can I order online and collect form my local store? Can I add gifts bags / wrapping to an order? What payment methods do Hotel Chocolat accept for mail order? How do I get a 5% club discount on the Hotel Chocolat website? How do I activate/register my membership online if I am not already registered? How do I know if my enrolment into the club has been accepted? How do I see my regular selections? How do I see my Special Editions? Do I have to receive a box every month? Can I have the box on a specific date? How do I delay my next box? Can I have my Tasting Boxes sent to a different address? If I can’t find the selection I want are there other options? How do I score my monthly box? If I score my chocolates late, will my scores still be counted? How are my scores used? Can I contact you about my in store purchase? Can I contact a store about my online purchase? Can I save products for later? How do I add recipes to my binder? Where can I manage my email / catalogue communication preferences? How do I review products? Where can I manage my addresses? How can I set my reminders for events? What is the "Tree To Bar Experience"
Where can I find out specific dietary information on products? What is your chocolate ethics policy? I can't find a product on your website, have you stopped producing it? Are there age restrictions on certain products? Do you grow all your own cocoa? Can I buy my favourite chocolate individually from the box it came in? Do the beauty products have a Best Before Date? Are the beauty products suitable for the face? Where can I find details of Hotel Chocolat stores? Can I return online orders in store? Where can I review my experience in store? Is Wifi avaialble in my room? Do Hotel Chocolat accept charity requests? Where can I find more information for a school, college or university project? Who should I contact about Marketing? Who should I contact about PR? Who should I contact about Affiliate Marketing? 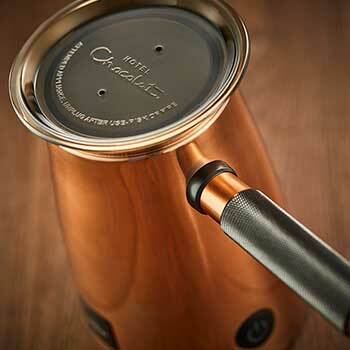 Once on the Hotel Chocolat website you can click on the Our Collection option. Then, for a full list of all items on our site click shop our collection and search by price, dietary, product type or chocolate type. From here simply hover above the item you wish to purchase, click through and then add to bag. You will then see your selection has been added to your bag. You must sign in to complete your order. This is achieved by either continuing through checkout from the basket, or by clicking on the My Account link in the top right hand corner of the screen. If returning, you will be asked for your password and email address. If a new customer, you will be invited to create an account as this is your first time, before you quickly continue with your order. This is step 2 of checkout. You can either deliver to an address of your choice or collect from our Hotel Chocolat stores on the same day as your order. You can add delivery instructions and select a time / date. There is further information on specific delivery information within our Delivery FAQ’s section further down this page. This is step 3 of checkout and is a new option within our site and allows you to ‘accessorise’ your selection with a gift card and gift bag of your choice. You can add a ‘don’t open until’ message and also send your gift anonymously. There is further information on specific delivery information within our Gifting FAQ’s section further down this page. This is step 4 of checkout and is where you will be able to review all aspects of your order prior to entering any payment details. This will also confirm any item quantities, messages, vouchers, discounts and offers you have within your basket, whilst breaking down your delivery and gifting costs as well as VAT. You will then be asked to review our terms and conditions prior to completing your order and paying for your items. If you have ordered before you may have your card details saved. If not you will be asked to enter your card details and billing information. (All major credit/debit cards are accepted). You can also pay with Paypal. Can I order in any other way? You can order by call us at 03444 93 13 13 or order by post at Hotel Chocolat PLC, Mint House, Royston, Hertfordshire, SG8 5HL. Alternatively you can shop in any of our retail stores across the UK and now Denmark. On the login screen there is a link beneath the returning customer section with ‘forgotten password?’ written. Click on My Account in the top right corner and then enter your email address. You will be sent an email explaining how you access a password. What do I do if I've forgotten my email address? This may be because you have not been active on the site for a period of time, so we have checked you out for your security and privacy. We ask you to sign into your account any time we need to verify your identity. This includes times when you access account or order information to review or change something. If you're using a device that's shared with people you might not know or trust, like a public terminal, you should always sign out before you leave it. Once logged in you will be taken to the "my account" section of the site. From here you will be in a position to view your order history, review products, update your details, manage your reminders, view your saved cards, track orders and manage your delivery addresses. If you want to order an item, click the 'Add to Bag' button on the item's product detail page or by hovering above the item you are browsing within a category. How can I change the quantity of an item I have in the Shopping Bag? Once you've added an item to your Shopping Bag you can keep searching or browsing until your bag contains all the items you want to order. You can access the contents of your Shopping Bag at any time by clicking the Shopping Bag button at the top of every page of our website. You can change quantity by amending this within the shopping bag or initially when selecting the product itself on the product page. The quantity can be amended during checkout also. You can remove items from your bag by going to the shopping bag mini menu in the top right of your screen and clicking remove beneath each product. Many of the orders we take from our customers are designed to be sent as gifts. So simply add the items you wish to purchase to your bag and proceed through checkout as normal. You will then be able to split and group your items during checkout as well as assigning different delivery addresses and gifting options. We have the perfect tool for this job! Our brand new ‘wish list’. As you browse our site you are also presented with the option of adding items to your wish list rather than your bag when viewing product pages or hovering over products within categories. We clear bags down, but your wish list is your personal list of favourites ‘saved for later’ any time. Simply click ‘checkout' within your shopping bag in the top right hand corner of your screen. You will then be asked to login if you have not done so already before continuing through to checkout. Yes. On page 3 of checkout you will find the gifting options. Here you will be able to choose a card to be sent along with your selection, as well as a gift bag within which your selections will be delivered in style. Find out more about all our Gifting here. On page 3 of checkout you will find the gift cards screen, from here you can choose the right card to be sent with your order. Find out more about all our Gifting here. Within the gifting page at stage 3 of checkout you will find a tick box which, if selected, will ensure that your selection is sent anonymously. Perfect for Valentine’s Day orders! Find out more about all our Gifting here. Yes. On page 3 of checkout you will be able to enter a date. This will appear outside the box of single orders, and within the box (but on individual recipients selections) within multiple orders. This should ensure that gifts may arrive early, but are not allowed to be opened until that special day! Find out more about all our Gifting here. Via mail order online and by phone we accept Visa, Mastercard, Maestro, American Express and PayPal. Via post we also accept cheques. This is always frustrating and there are a number of reasons as to why a card may decline, we always suggest the best thing to do is to check your details are correct and contact your bank. If no explanation can be found please contact our Customer Service team on 03444 93 23 23. We will do this for you automatically. Our website will recognise you as a member of the Chocolate Tasting Club and apply a 5% discount to your order. However, before this can happen, you will need to activate your Club membership online. You can do this by visiting www.hotelchocolat.com/uk/tasting-club, logging in, then clicking on ‘Manage my Membership’. You will be asked for your membership number and activation key. You can find this on your membership card or any Club invoice. Once you have entered these details and viewed the Club Summary page, your membership is activated. You only need to do this once and then you will continue to receive your 5% discount every time you order. Please note that the 5% discount excludes delivery charges, clearance products, special offers or Tasting Club Subscription. From your mini basket click ‘checkout’ you will then be taken to your full basket page. Within this page you will be asked on the left hand side beneath your items ‘do you have a voucher?’. Here you can add one voucher code. There will be specific terms and conditions depending on the voucher as to how this works in conjunction with any other offers. Verified by Visa is a service that password-protects your Visa card details; providing you with added security when you shop online. They allow you to create a password that is known only to yourself, to use every time you use your Visa card online. To register for Verified by Visa all you need to do is follow the instructions next time you place an order online with us. Alternatively, you can sign up by contacting the bank that issued your Visa card directly. You’ll be asked to come up with a password for your Visa card. You only need to do this once, then whenever you use the card online you will be asked to enter the password when you check out. If you have already registered, you will be prompted to enter your Verified by Visa password when you order. MasterCard SecureCode is a service that password-protects your Maestro card details, to give added security when you shop online. They allow you to create a password that is known only to yourself, to use every time you use your Maestro card online.To register for MasterCard SecureCode all you need to do is follow the instructions next time you place an order with us. Alternatively, you can sign up by contacting the bank that issued your Maestro card directly.You’ll be asked to come up with a password (also known as a SecureCode) for your Maestro card. You only need to do this once, then whenever you use the card online you will be asked to enter the password when you check out. If you have already registered, you will be prompted to enter your SecureCode when you order. It's easy, just click here to select your Introductory Chocolate Selection and to join the Chocolate Tasting Club. To Register and activate your online account please click here. On the Activation page you can enter your membership number and activation key. Your introductory box invoice will contain both of these numbers (which are also on the membership card sent to you after your second box). Once your online account is activated you will be able to manage your chocolate selections, deliveries, payments, score the chocolates and buy our special collections online. As soon as you have completed the online activation, an on-screen message will advise whether or not you have been successful. In addition to this, an email will be sent to the email address you registered with. At the top right of any page of our site, select 'MY ACCOUNT’. From the drop-down menu, select ‘SIGN IN’. Enter your email address and password. Can’t remember it? Don’t worry, simply click on ‘FORGOTTEN PASSWORD’ and we’ll send a link to reset it. If you don’t have an online account yet, it’s easy to create one here. Once you’ve signed in, you can manage your membership from the 'MY ACCOUNT’ page. Click on ‘MY SUBSCRIPTIONS AND SPECIALS’ in the navigation bar on the left. This page will give you an overview of all your regular boxes and when the next delivery is due. Log You’ll be able to view these alongside your regular selections. You can also reserve next year’s Special Editions. To shop for any of our Specials, select ‘MY CLUB SHOP’ and make your choice. How do I change my box frequency? Once you’ve selected ‘MY SUBSCRIPTIONS AND SPECIALS’’ under ‘SCHEDULING’ there is a drop-down menu. Here you can choose whether you’d prefer delivery every 4, 8 or 12 weeks and save your changes. Please let us know within 10 days of receiving your Tasting Box if you’d like to change the frequency of delivery. If your box has already been processed, then we’ll contact you and apply the changes the following month. No. Unique selections are created every 4 weeks, but you can change the frequency of your Tasting Boxes whenever you like. Your box is sent at 4, 8 or 12-week intervals. If you ask to delay your box, we’ll send it at the beginning of the month you’ve requested, but can’t deliver on a specific date. Click ‘MY SUBSCRIPTIONS AND SPECIALS’ in the navigation bar. This page will display your regular selection boxes. Under the ‘SAVE’ button, select ‘Snooze this’. You now have the option to pause your box for one to two months or select a specified month for your subscription to resume. Please let us know within 10 days of receiving your Tasting Box if you’d like to delay your next delivery. If your box has already been processed, then we’ll contact you and apply the changes the following month. Follow the same steps as above. In this section you’re able to cancel your subscription: simply choose a reason and select ‘CANCEL SUBSCRIPTION’. If you’d rather speak with someone about cancelling your subscription please call our Brand Centre, who will be happy to help: 03444 933 933. Please let us know within 10 days of receiving your Tasting Box if you’d like to cancel. If your box has already been processed, then we’ll contact you and apply the changes the following month. Click ‘MY SUBSCRIPTIONS AND SPECIALS’ and you’ll see all the information on your regular boxes. You’ll also see your delivery address. Underneath your current address, click ‘Edit Address’ and update your details. Yes you can. Many customers prefer to have their boxes delivered to their work address, for example, and have the invoice delivered to their home. Simply select ‘ADDRESS BOOK’ and update your delivery address or let us know on your payment form. Click ‘SCORE US’ in the left navigation bar. Select which box you’d like to score and click ‘SCORE NOW’. You can then give each chocolate a star rating from 1 to 5 and tell us your thoughts under the ‘NOTE’ section. Yes, every score is included and counted towards the Excellence Collection Awards. Your scores help us to determine which new chocolates are ready to go into Hotel Chocolat stores and which ones need another round in our Inventing Room. The scores also help us to determine your favourite chocolates of the year, which take pride of place in our annual Excellence Collection. Click ‘MY DETAILS’ in the navigation bar. On this page you’ll be able to update your personal information and change your email address and password. Click ‘WALLET’ in the navigation bar. Select ‘SAVED CARD’. Here you can amend existing cards. If you’d like to add a new card, simply select ‘ADD NEW’ and insert the required information. The first place you should check is your order history. You can view this by logging in and viewing your account by clicking hello and your name in the top right hand corner of your screen. Within your account you will see the order history option in the left hand navigation menu. You will then see a full list of all orders we have received from you online and by phone, complete with order number, total price and date. If you do not see your order here please contact our Customer Service team on 03444 93 23 23 with your name, email and postcode as soon as possible. For online, phone and post orders - you can view this by logging in and viewing your account by clicking hello and your name in the top right hand corner of your screen. Within your account you will see the order history option in the left hand navigation menu. You will then see a full list of all orders we have received from you online and by phone, complete with order number, total price and date. Your order number will be visible upon completion of your order, an email order confirmation receipt will also be sent to you. Failing this you can check your order history. You can view this by logging in and viewing your account by clicking hello and your name in the top right hand corner of your screen. Within your account you will see the order history option in the left hand navigation menu. You will then see a full list of all orders we have received from you online and by phone, complete with order number, total price and date. This is only possible if your order has not been completed at our Despatch centre. You should immediately contact our Customer Service team on 03444 93 23 23 with your order number. Please note we cannot change next days orders after 6pm on the day of order. All of our products have been thoroughly transit tested and carefully packed to ensure they arrive with you in perfect condition. In the event that your order does arrive damaged, please don’t worry. We guarantee we’ll put it right for you –replacing or refunding as appropriate. It’s really beneficial to us if you can take some photographs to show us the damage, it will help in working out how the damage may have happened, and then contact us here – we’re here to help! Of course; our customer service team are empowered to help, regardless of where or how you made your original purchase. However, please note that we cannot issue you with a refund over the phone for a purchase you made in our stores. Likewise our stores cannot refund you for a mail order purchase. Replacements can be made within reason and you will be asked to provide your proof of purchase before we can proceed. If you have any queries please contact us here. Of course; our stores are empowered to help, regardless of where or how you made your original purchase. You are able to track your Hotel Chocolat order and we will have provided you with the tracking information you need in the Order Confirmation email you will have received shortly after placing your order. Please use this to confirm delivery of your order before contacting us here A replacement or refund will be considered only after you have allowed sufficient time for your delivery to have been made, depending on the delivery service you selected at the time of your order. If you have tracked your order and have still been unable to locate it please let us know so that we can talk to our carrier and advise you further. Of course, we’re here to help so please contact us here. We want you to be 100% happy with your order and all of your purchases are covered by our No Excuses Guarantee. If you change your mind about the item(s) that you have ordered, please contact us here. If you add an item to your basket, it will stay there until you purchase the product or you remove it from your basket or clear your cookies / cache. You also have the option to add an item to your Wish List which will remember that you have shown an interest in the item until you choose to purchase or remove from your wish list. To view your order history, you will first need to log in. Once logged in, you will see ‘Hello …’ at the top of the screen along with your name. By selecting this, you will have a list of options, including ‘Order History’. This will show all of your previous orders. If you have found a recipe you are interested in, you will have an option on the recipe page to ‘Save to Recipe Binder’. You also have the option to add the Hotel Chocolat products used in the recipe to your bag with a view to purchase these. You will first need to log in with your email address and current password. Once logged in, you will see ‘Hello …’ at the top of the screen along with your name. By selecting this, you will have a further list of options, including ‘Communication Preferences’. You will be able to select which types of communication you are happy to receive. You can write a review on each product by selecting the product you wish to review. At the bottom of the product page, you will have the option to enter your details into the ‘Tell us what you think’ form. You will first need to log in with your email address and current password. Once logged in, you will see ‘Hello …’ at the top of the screen along with your name. By selecting this, you will have a further list of options, including ‘Manage Delivery Addresses’. This will present you with a list including your main address and previous addresses that you have saved. You will also have the option to ‘Enter New Address’ to your address book. You will first need to log in with your email address and current password. Once logged in, you will see ‘Hello …’ at the top of the screen along with your name. By selecting this, you will have a further list of options, including ‘Saved Payment Cards’. This will show a list of payment cards you have previously used and give you the option to delete these. You will first need to log in with your email address and current password. Once logged in, you will see ‘Hello …’ at the top of the screen along with your name. By selecting this, you will have a further list of options, including ‘Manage Reminders’. This will show a list of reminders you have saved and give you the option to add a new reminder. Unique only to the Rabot Estate, and drawing on our expertise as a chocolatier as well as a grower, the Tree to Bar is an exclusive opportunity for guests to create their own chocolate! The Tree to Bar experience starts with guests walking on the estate cocoa groves selecting ripe cacao pods cut from the tree, and ends with making their own chocolate bars and truffles from beans that guests have roasted themselves. The tour includes all the stages in between: seedling nursery, fermenting room, sun-drying station, grinding, mixing and lots of tasting! Here at Hotel Chocolat, we are very passionate about the Ethical side of our business. Our chocolate ethics policy can be found online via the following link - Engaged Ethics. We do strive to constantly improve and refresh our product range and try out new ideas, and therefore our range does change quite often. Yes – when signing up to Hotel Chocolat, we ask you to confirm whether you are over 18 years of age as some of our products are age restricted, such as alcohol. No, and this will never be our aim. However, we are proud to be one of the only chocolate brands to actually grow cocoa, on our own 140-acre estate in Saint Lucia. Together with the cocoa from 180 independent growers who are part of our sustainable cocoa programme in Saint Lucia, this accounts for c5% of the cocoa we use across our whole business. Being a grower has given us real 'at the coal face' knowledge about the issues facing all cocoa growers and made us a better partner for them. We have directly experienced the difficulties facing cocoa growers and, as a result, better understand the main issues of 1. how to make a sustainable level of profit 2. the agricultural quality challenges around gene type and fermentation/drying techniques. If we were to grow all our own cocoa, we could run the risk of creating a monopolist, neo-colonial-style cocoa power. Rather, we wholeheartedly celebrate and support cocoa farmers and cocoa farming communities around the world and strive to spread the sustainable blueprint we have created in Saint Lucia further around the world over the coming years. The technical expertise we have built up over nearly a decade as a cocoa grower means that we know what top-quality cocoa is really like, and the risks to cocoa quality, often locked into the cocoa before it has left the growing area. As chocolatiers we have also found that cocoa from different parts of the world has a dazzling array of flavours – the red fruit intensity of Vietnamese versus the roast nut notes of Ecuador. We love working with a wide spread of the planet's best cocoa and our customers love the huge spectrum of flavour notes. Yes. This is best served by taking a look through our Selectors range within the shop our collection area of our site. Each product features a PAO (Period After Opening) symbol. The symbol identifies the timescale of optimum efficacy of the product after first opening, it is used with a written number of months (i.e. 12M) It does not mean that the product will not be safe beyond that point. All of our products undergo rigorous and extensive testing to ensure their efficacy, safety and quality. In the EU, cosmetics products with a shelf-life of at least 30 months are not required to carry a “best before end…” date. Instead, there has to be "an indication of the period of time after opening for which the product can be used without any harm to the consumer". We do not test our products on animals, nor do we commission testing of ingredients on our behalf. These products are very much designed with body care in mind. As such the levels of fragrance; levels of warming and particle size of exfoliation, are not developed with the delicate facial skin care in mind. Just as with a fine wine, the terroir, fermentation techniques and the plant type itself are the major influencers of flavour. An estimated 80% of the flavour potential of the chocolate is locked into the bean by the time it leaves the plantation. That’s why we evaluate every single harvest before deciding which recipe to go for to really do justice to it – we test roasting time and temperature, conching time and temperature, cocoa percentage – we include this information on the batch label so that we can continually make changes to reflect what nature gives us each time. All of the beans within our Rare & Vintage range have been sourced by us and the recipes are all developed by our team of Chocolatiers, ensuring we get the very best out of the specific beans. On the packaging of the 70g bars we have even stated who the Chocolatier is. We support modern medical advice, which discredits the concept of ‘diabetic chocolate’. Enjoyed responsibly, chocolate can be enjoyed as part of everyone’s healthy balanced diet. Of course, it helps that the 100% grades in our Rare & Vintage range do not contain any added sugar and the high cocoa milks contain as little as 16% added sugar. Conching is all about developing the flavour of your chocolate. The more you conch the more mellow and smooth the flavours will become, the shorter you conch the more punchy and powerful the flavours will be. During our Rabot development it was all about experimenting to get a conch time which released the best flavours. Our own much-loved cocoa plantation, The Rabot Estate, was first established back in 1745 in Soufriere, Saint Lucia. The old estate house still stands proud, a survivor of wars, hurricanes and the ravages of sea and sun, down near the equator. The rich and fertile volcanic soil, high altitude (c.1000ft above sea level) and rainforest water all create a unique environment (terroir), perfectly suited to cocoa production, in which our cocoa trees flourish. We have made Rare & Vintage into our quality emblem, to be bestowed carefully upon all that meets our standards and becomes a part of our rare and vintage cocoa collection. It stands for all the enduring values we have learned to hold onto since we first became cocoa farmers ourselves. Engaged Ethics is our phrase for a ‘roll up the sleeves and get stuck in’ form of enlightened capitalism, leading and changing by example, by direct involvement and risk taking. Starting from scratch on our own estate in Saint Lucia we now have more than 150 other cocoa farmers who have joined our scheme. Being paid the right amount, being treated with respect and paid on time, giving a long term commitment to build a future on and by sharing ‘know how’ to improve quality and yield – all this was needed to bring cocoa farming back to being a viable and sustainable enterprise on this small island. We are looking for similar values when we buy beans from estates in other parts of the world and to share our knowledge to make cocoa growing an ethical and fulfilling enterprise. You can find out more here. This is a term we use for the cocoa grown on our Rabot Estate. The Rabot Estate is not organically certified but farmed using organic principles. We do not use any pesticides at all. This is fully traceable as we manage the Estate ourselves and stringently oversee all processes. We also use this term for other grades that are made using organic cocoa beans but the other ingredients used are not organic. The next stage of development for The Rabot Estate is to build a chocolate factory and start making chocolate using local ingredients and local labour. Making chocolate in Saint Lucia and exporting it to the UK is a reversal of the normal practice, which is to add all the value in Europe, giving only the value of the commodity to the cocoa growing economy. We will be training local people in chocolate making, using ingredients and creating a whole value chain around this new enterprise. We’ve already chosen our site and HRH Prince Charles kindly broke the ground during his latest visit to the island. This single côte chocolate hails from our own plantation in Soufriere, Saint Lucia, where the cocoa has been kept separate as it is picked and fermented from each côte (terroir section) within the estate. This particular côte, Marcial, is a beautiful part of the estate near the Rabot lake, with a mix of grizzled 80-100 year-old trees and fresh new four-year-old trees planted as seedlings, all bearing the rare Trinitarios bean unique to the Rabot Estate. More details about our single côte chocolate and the Rabot Estate can be found here. You can view Hotel Chocolat’s store locations by selecting the ‘Our Locations’ tab at the top of the page. This will show all Hotel Chocolat stores alphabetically. You can search for your nearest store by entering your postcode or town in the ‘Location Finder’ search bar. Yes. You will find this option in the 2nd page of checkout as a delivery option, tick 'collect from store'. It is never cold, so don’t worry about that. As it is close to the rainforest, we occasionally experience tropical downpours, but these often last only a matter of minutes. As well as the usual swimming trunks etc, we recommend bringing a good sun and water resistant hat, a slip-over waterproof, small rucksack and trainers/light walking boots if you are intending to be active. The dress code for Boucan evening dinner is smart/casual and ladies a cocktail dress is never out of place! If you wish, or we can arrange for you when you arrive. No, the service desk operates between 7am and 11pm. Again, due to the steep terrain and positioning of the hotel, we regret that it is not suitable for children less than 12 years. The hotel is an ideal escape for groups as the entire property can be hired for private use. Please contact us here for more details. We have 14 rooms and also have arrangements with nearby partner hotels if required. All charity and donations requests are reviewed on an individual basis. We would ask that you send your request via email to help@hotelchocolat.com, including the full details of your request, as well as the registered charity number. We’d be more than happy to send some information out to you for a school or university project. If you’d like to send us an email at help@hotelchocolat.com along with the age the information is intended for and a postal address for us to send it to, we’ll be happy to arrange this.